From metallics to ruffle tuxedo shirts and a jaw dropping red gown a few celebs stole the show at the 89th annual Academy Awards. Below are a few of our best dressed. 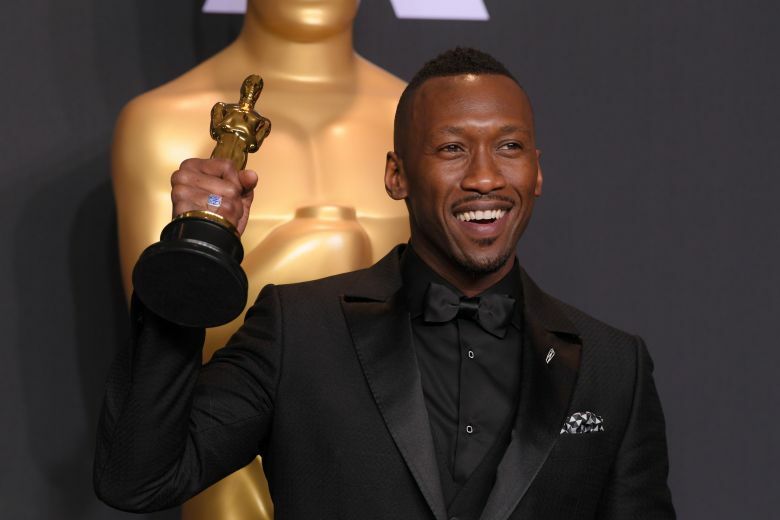 Mahershala, who took home the oscar for best-supporting actor for his role in Moonlight, is easily one of our favorites from the night. 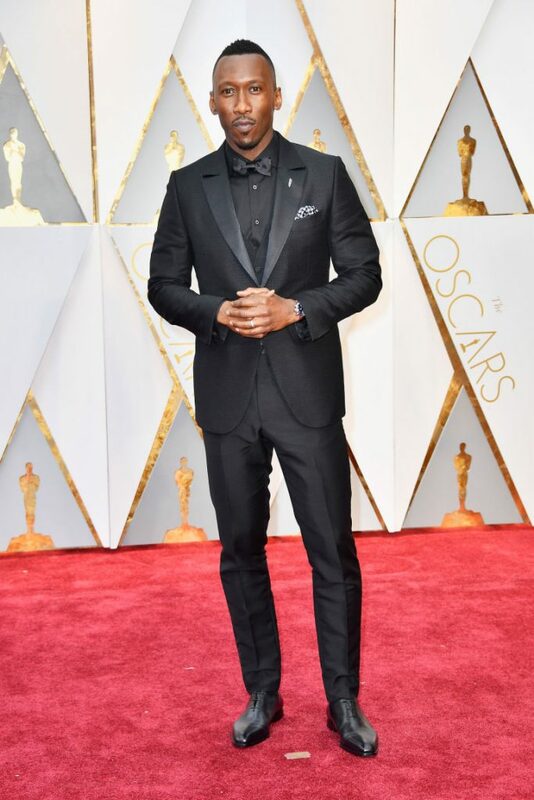 He looked dapper in all black wearing a Ermenegildo Zegna Couture tuxedo. Could he be the new Idris Elba? We think so! Proving that less is always more, the Hidden Figures star looked stunning in a velvet midnight navy custom Alberta Ferretti dress. To get the part you must dress the part and dress the part she did. Davis, who took home the award for best-supporting actress for her role in Fences proved to us all that red is her color. She looked radiant in Armani. 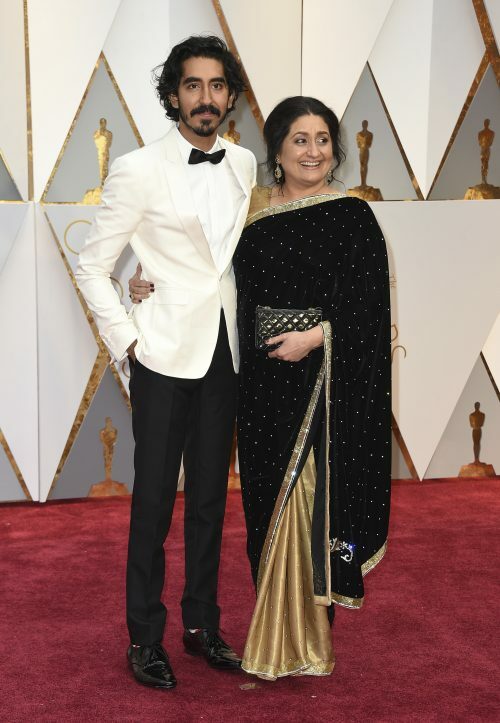 Dev, who brought his mom Anita who looked gorgeous, donned a white Burberry tuxedo jacket with black pants. Are we bringing back ruffle tuxedo shirts? Well when you’re Ryan Gosling you can do just that. 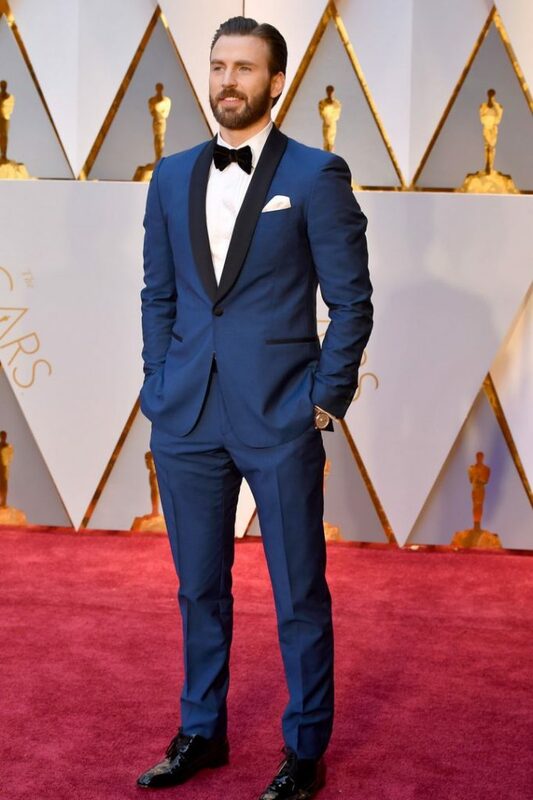 The La La Land nominee looked great in Gucci. 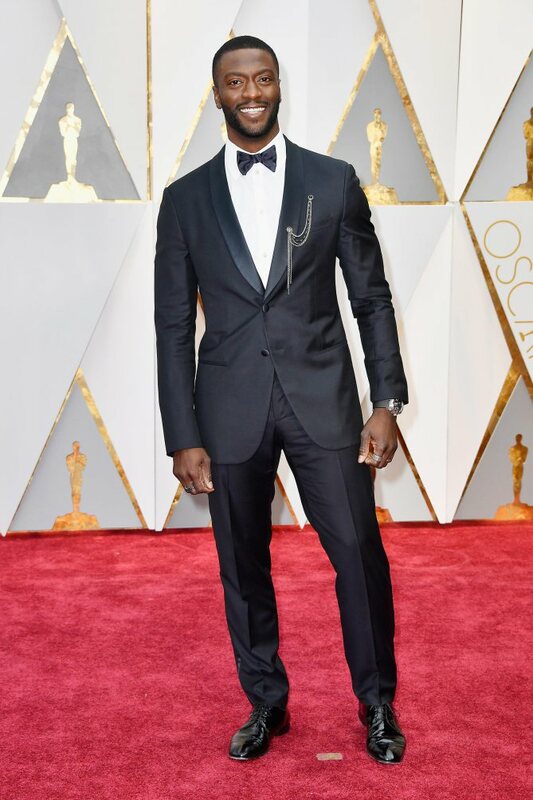 Hidden Figure’s star Aldis scores major fashion points with the decorative lapel chain he added to his tuxedo. When has metallic gold ever looked so good? Biel looked elegant in her gown by KaufmanFranco. Justin looked dapper in Tom Ford but we must admit Biel is definitely the center of attention in this photo. Evans proved that cobalt blue won’t be going out of style anytime soon. He looked great in a Salvatore Ferragamo tuxedo.